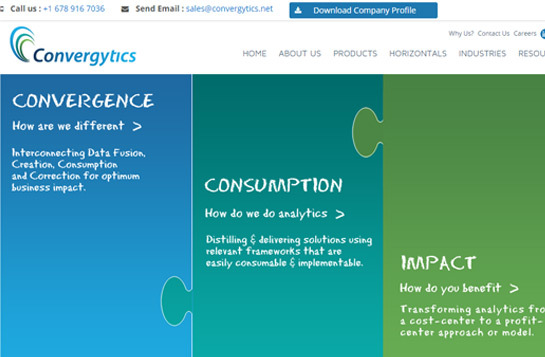 Convergytics is a web analytics company that believes in creating business solutions or analytics to help businesses make actionable data-driven decisions and achieve decision-driven ROI. 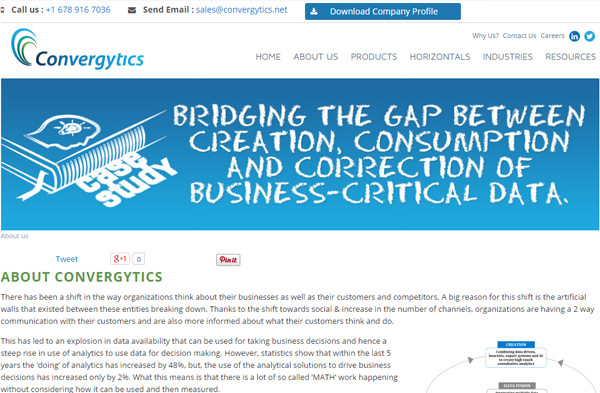 The company uses different frameworks to work upon collected data to understand the consumer behaviour and drive sustainable decisions. 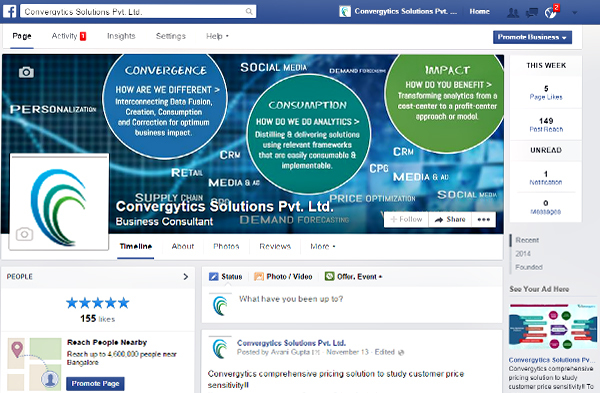 The motive of Cognus is to offer proven solutions to all the clients to get them optimum results online. 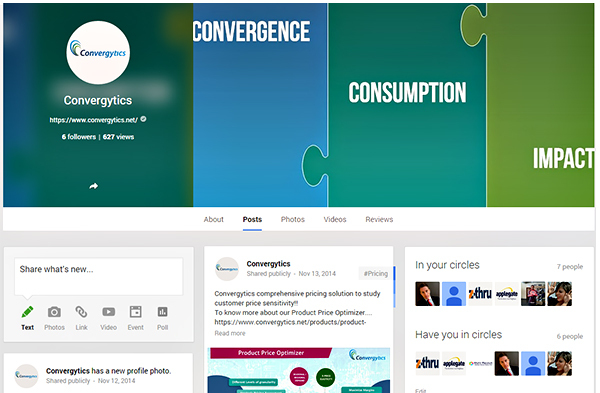 Having this motive in mind, Cognus accepted the project “Convergytics” to deliver the promised results in Social Media and SEO. 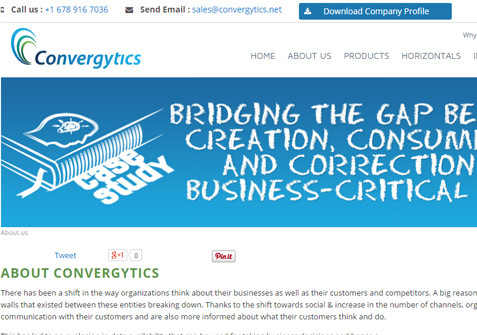 After continued efforts in SEO and SMM, Convergytics now witness targeted SEO, audience-driven conversion optimization, and a better customer engagement to funnel prospective clients to its social media profiles & website’s service-landing pages. Our website was languishing around page 10 or even below for our primary products even though we had completed some decent SEO. When we spoke to Cognus, that is when we realised there was so much more we could do. They strategized everything from scratch & produced quality results on SERP\'s along with the strenghtening of the social connectivity with the customers. 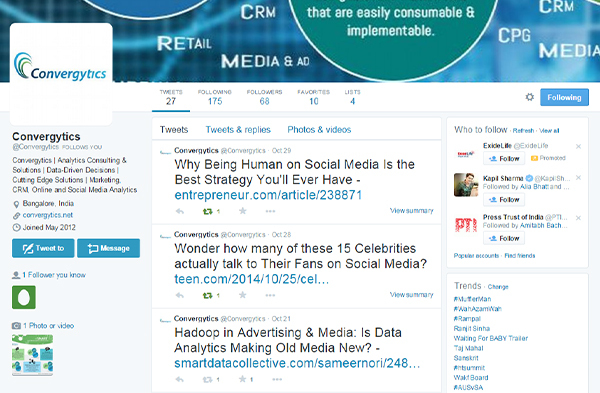 We are happy to see our brand competing with leading brands in the online market. Great work!